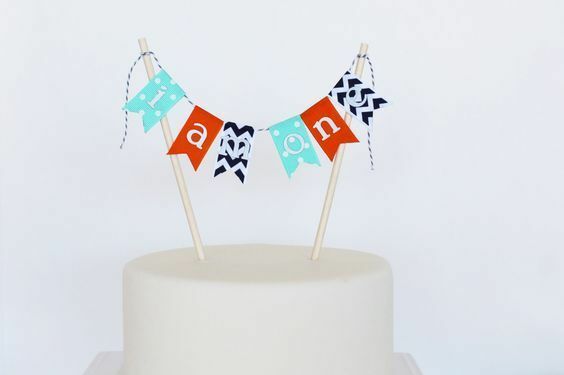 Personalize your little one's birthday celebration or smash cake photography session with this cute colorful cake topper. Each ribbon pennant is carefully cut and finished using a method created by the designer with the utmost attention to detail and quality in mind. 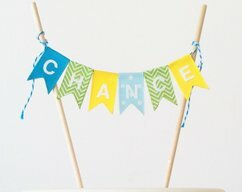 *Personalized lettering is cut with precision out of high quality vinyl and carefully placed on pennant flags to ensure lasting adhesion. 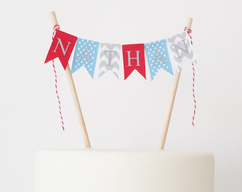 *Your cake topper will arrive fully assembled and Professionally packaged. * Cake topper shown on a 6" cake. * No assembly required. Arrives ready to use. 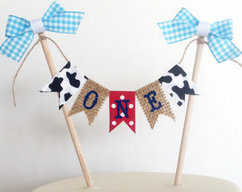 * Flags are double sided which means what you see on the from is what you see on the back minus the lettering. 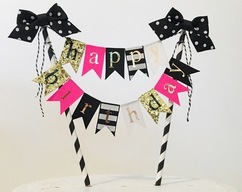 Make sure to choose the correct size topper to match the number of characters in your name or wording.